As you can probably imagine, I'm totally the kind of girl who loves a good pajama set. Matching tops and bottoms in patterns and prints... 100% my thing when it comes to sleep attire! 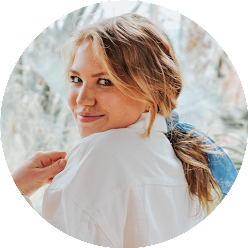 However, I knew I wasn't going to want to wander around my dorm in matching sets once I got to college and began looking for just as cute and comfortable pajama attire a few months ago. It took a little while, but it's safe to say that I have discovered something even better in the world of loungewear! Introducing: the monogrammed, ruffled PJ shorts!!! I usually throw on a big t-shirt or sweatshirt when I sleep, so easy shorts to mix and match with everything are the perfect counterpart. 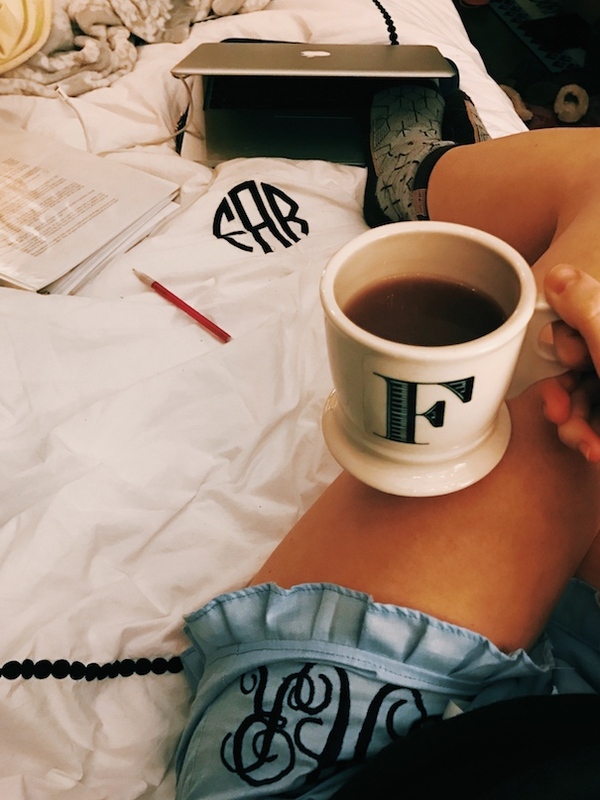 I still feel like my pajamas are "sophisticated" with the little ruffle, and you can obviously tell there isn't much I wouldn't do for a good monogram!! Oh my gosh, these are so stinkin' cute- I need them haha! Those shorts are gorgeous! 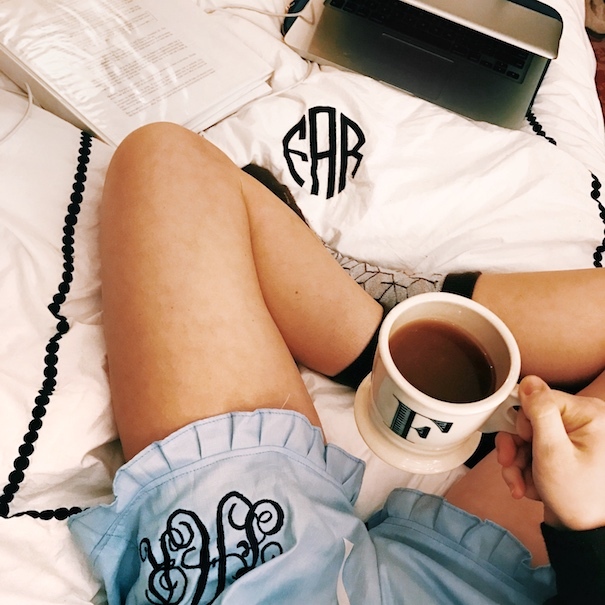 Cute pajama shorts are kind of my thing, and I love monograms!